February 17, 2018 This post may contain affiliate links. A lightening quick weeknight meal perfect for cold evenings and a bunch of hungry kids. 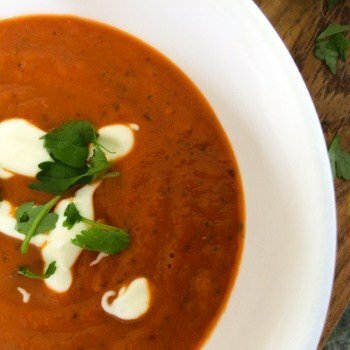 Made with 3 everyday pantry ingredients, this cream of Tomato Soup is guaranteed to be a dinner regular. 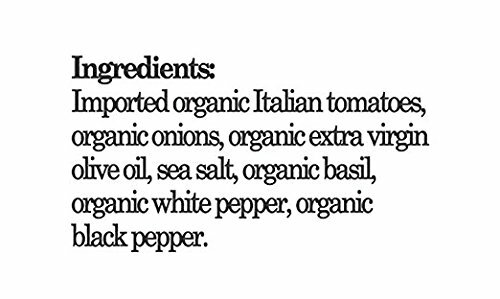 So, Why is it Called ‘Cream of Tomato Soup’ if it doesn’t have any Cream in it? Great Question! The name comes from the consistency of the soup and not the ingredient. Because you blend the soup until ‘creamy’ the name ‘Cream of’ means that the the soup has been pureed or blended to a creamy texture. It’s a pretty recent trend to add cream to the soup, which you are most welcome to do, but I think it makes it a little bland. But let me know what you think? This is one of our favorite Wintery night meals. The kids make a pile of toasted cheese wholewheat sandwiches and I make the soup . Because there is nothing better than dipping the toasted cheese into a thick tomato soup. Oh My Goodness!! My mouth is watering just thinking about it. We normally team the meal up with a weekly movie session. This is a definite memory maker and best family night ever! Saute chopped onions in butter until softened. Add 1 jar of pasta sauce, 2 cups of water and simmer for 5 minutes. Blend with a stick blender or pour into a regular blend and blitz until smooth. OPTIONAL: Add 1/2 cup of cream and heat until the soup starts to simmer.